The Minister for Environment, Science, Technology and Innovations, Prof Kwabena Frimpong-Boateng, has expressed worry about the proliferation of telecom masts in the country. According to him, monitoring by the Ghana Atomic Energy Commission to check the level of radiation has become a problem due to lack of monitoring equipment. He said currently there are about 12,000 telecom masts scattered around the country but the available monitoring equipment of the commission can only monitor just a little over 100 of such masts. He said the ministry and for that matter the commission would have to find a way of acquiring more of such radiation monitoring equipment and has therefore decided to engage the telecom companies on how both parties could raise more funds to acquire more of such monitoring equipment. He indicated that it has become necessary to check these radiation levels and because of the fact that the commission does not have the means to acquire more of these pieces of equipment to check the rest of the 12,000 masts whether their radiation level is high or low. He disclosed that the radiation from these masts could pose health problems if they emitted high level of radiations which could be the cause of some kinds of cancer. 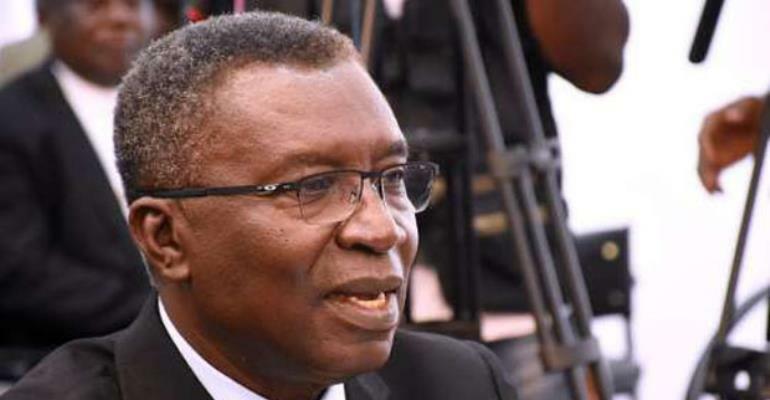 The minister made the revelation when he appeared before the Public Accounts Committee (PAC) of Parliament yesterday with officials of the Ghana Atomic Energy Commission to respond to queries raised in the 2016 Auditor-General's report being considered by the committee. The minister indicated that electricity pylons also generate a lot of radiation and so living or staying under such electricity pylons could be very dangerous. A member of the committee and National Democratic Congress (NDC) Member of Parliament (MP) for Ningo-Pampram, Sam George, wanted to find out from the minister whether the ministry cannot get access to a new technology that helps to minimize or completely eradicate the emission of radiation from these telecom masts but the minister said there is not a technology like that in the world. According to him, electromagnetic waves which allow the transmission of calls and receipt of calls engender radiation and therefore if there is any technology which can eradicate radiation from telecom masts then it means no calls could be made or received. But the NDC MP insisted that there was such technology but the minister staunchly refuted the claim, stressing that no such technology existed.